With divine details and a super-soft hand, you'll find yourself reaching for the Marina Top time and again. Cut of stretch jersey knit, rows of elasticized smocking create a rippling effect along the mock neck. 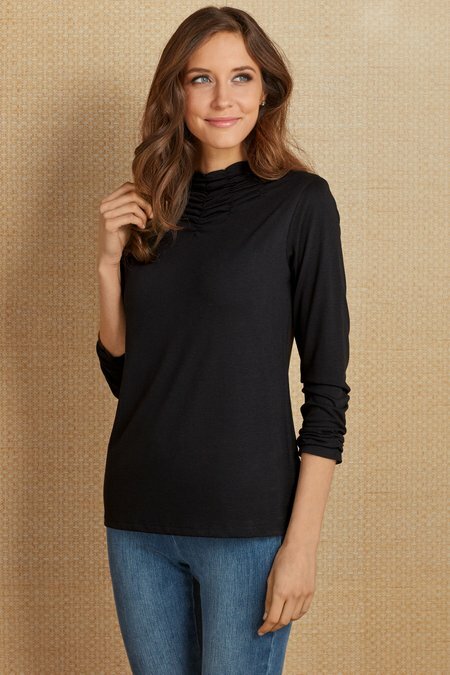 Straight-bodied with long sleeves, this top is sure to delight. Poly/rayon/spandex. Misses 25" long.